So you want to be the ultimate adventurer, eh? That is great news! What can be more adventurous than flirting with the edge of the world’s highest peaks? 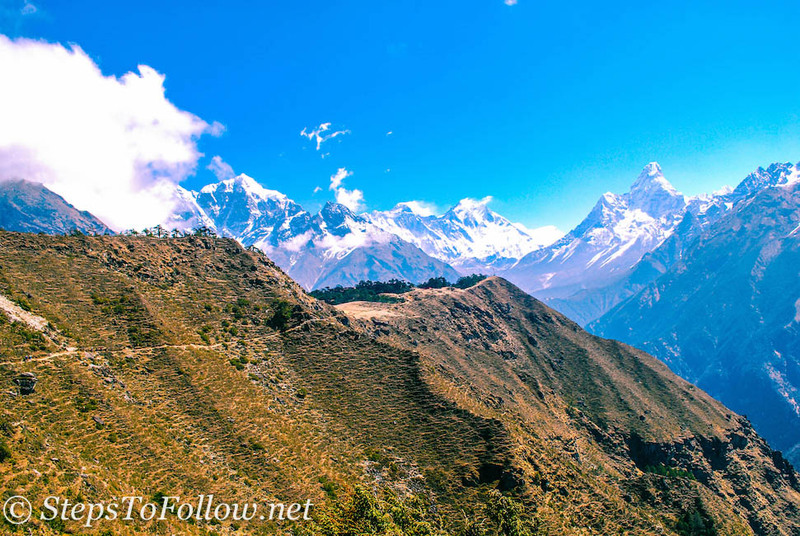 The Himalayas, spoken of by the locals with love, beauty and sincere respect, are some of the most dangerous terrain and environment in the world. Think high steep cliffs, low oxygen, tiny paths shared with large working animals, and of course there are the many illnesses that are possible to succumb to— all part of a true adventure m’dears! 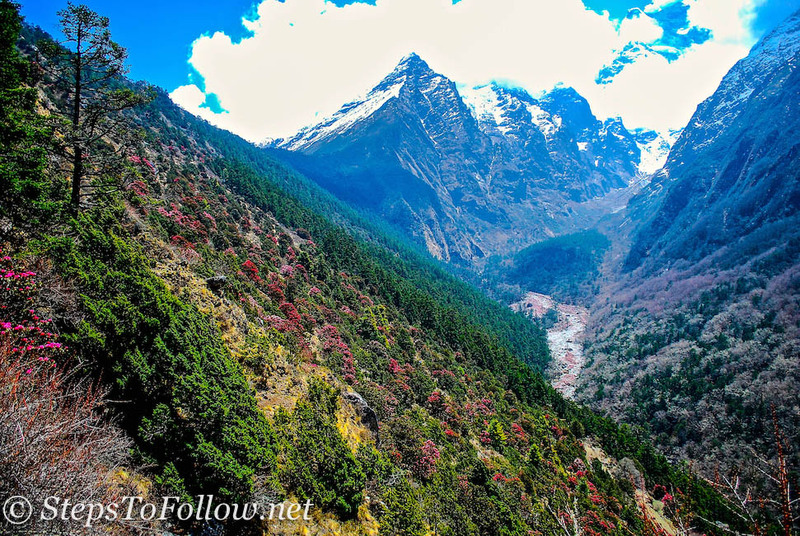 Recently returning from a Mount Everest Base Camp trek in the beginning of May, I have a few simple tips and suggestions to help get your amazing adventure going. Now is the time to visit Nepal, the people of this country could really use our support through tourism in order to rebuild their beautiful country after the 7.8 magnitude earthquake rocked many large cities and tiny villages into rubble. Now is the time to support an economy in need while also feeding your inner Indiana Jones. Win win! But where to begin? Here are 5 simple tips to help make your dream adventure into a reality. 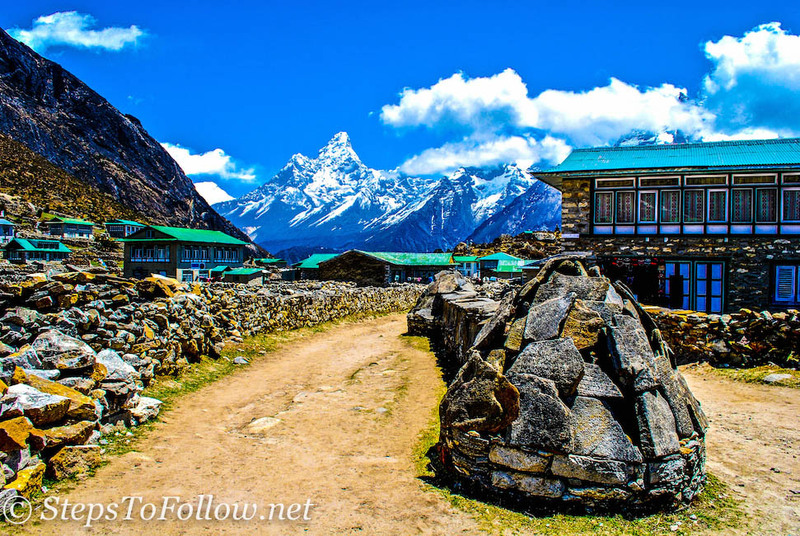 Of course the first step to this ultimate adventure along the world’s highest peaks to the world’s highest peak is to book your trek with a reputable travel company that will give you what you want. Don’t expect 5 star quality arrangements on the mountains— think moth infested paper-thin walled rooms and hole in the floor bathrooms. There are literally thousands of tour groups to go with, and, while it may feel nice to support the little guy when it comes to a trekking company, I would suggest considering a larger and more well-known company that will be sure to take care of you during an emergency (say, an earthquake? Trust me, you don’t expect emergencies until all of a sudden the earth is moving from below your feet!). 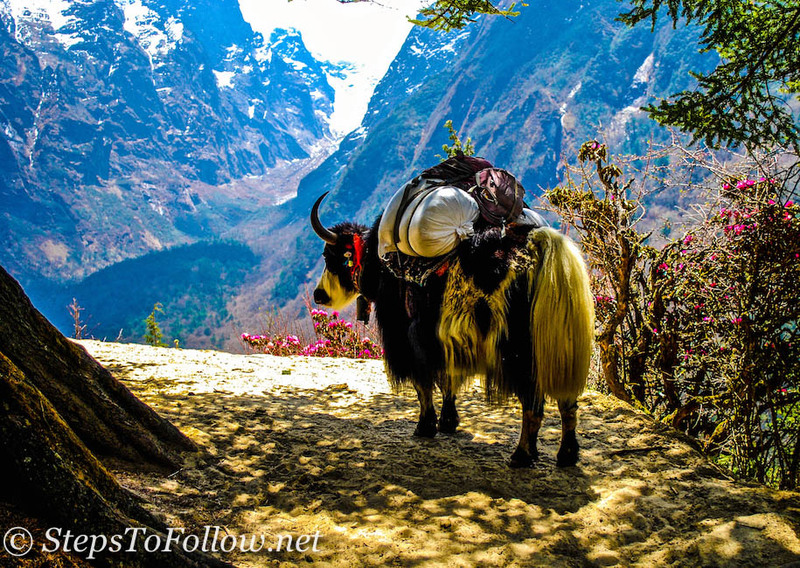 Things to think about before booking include how many days the trek is (longer is better for acclimatization), who will guide you (locals are the best) and where you will stay (teahouses vs. tents). Also, take into consideration what the tour operator does to help Nepal and it’s people. Words to look for in tour operator mission statements are “ecotourism,” “responsible,” and “sustainable” travel. This type of travel means you can feed your travel passion while making a minimal impact on the environment. If you plan on travelling further in the Himalayas it is also worth checking out a few Ladakh tour packages. Trust me when I say this, almost anyone with an average fitness level can complete the Everest Base Camp trek. Between 6 to 3 months before your trip you need to start exercising and focusing on strengthening your endurance and legs. Cardio and weight training will be your friend. For fast results do your cardio and weight exercises in intense intervals. For example, instead of running a long distance at a steady pace, do a minute of sprints followed by a minute of relaxed running, or, for weights, lift a heavier weight for a shorter time than lighter weights for a longer time. This type of interval training had be seeing an feeling results very fast (within a few weeks) and will help you become prepared for your steep climb ahead. If possible, go and visit a Travel Doctor. A Travel Doc specializes in knowing what you should need for what country. Be certain to get a prescription of Diamox for your trek. Diamox is used for most people who are ascending to high altitudes at a fairly quick pace. If you have ever ascended up a mountain quickly and suffered headaches and nausea after, this is altitude sickness which, 9 times out of 10, can be prevented by using Diamox. This pill works by having you breathe more as you sleep making certain that you get more oxygen to your brain. Basically Diamox accelerates acclimatization and can literally be the help needed to get up the mountain. Side effects of Diamox include a strange tingling in your hands and feet (and sometimes face!) and the need to pee A LOT. All in the name of adventure! This is of course optional, but I would recommend buying a decent camera with a good battery. 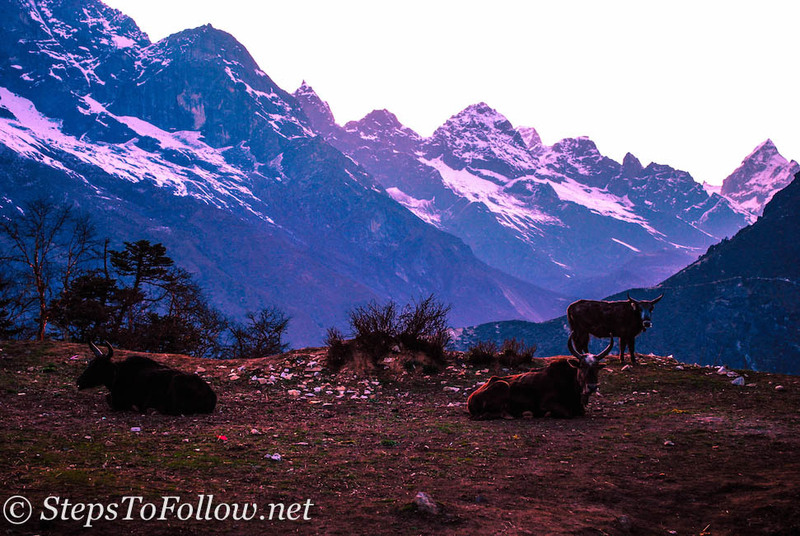 There is so much beauty on this trek that you will probably want to record some of it through images. If you do purchase a good digital camera or if you already have one, make sure your carry a day pack that has protection for your camera— you don’t want damage it from any potential risk along the trek. There are daypacks you can buy that are specifically catered to protecting camera gear. This is what I used on the trek and it worked out well. Now it is time to pack your bags for your big adventure! When it comes to packing your bags, you don’t need much but will need to be specific. You will most likely be using a duffel bag to store all your trekking supplies in, and, let’s be honest, there is not a lot of room for luxury. 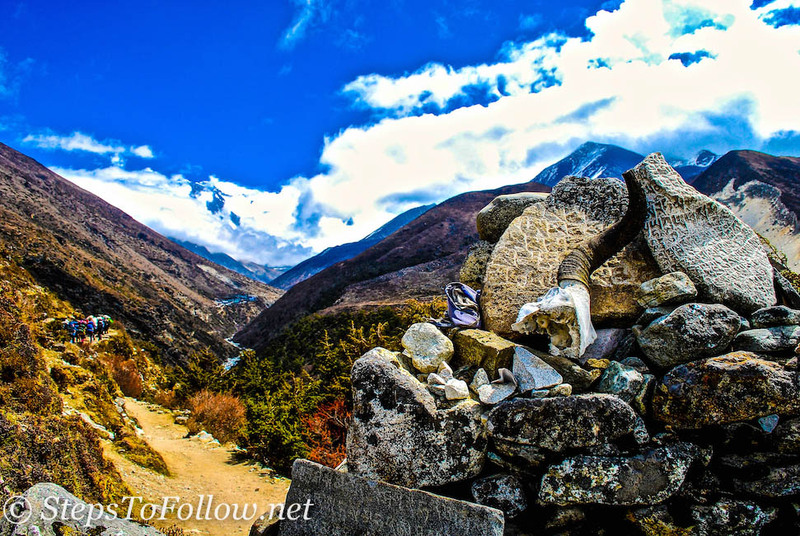 Trekking to Everest Base Camp is not glamorous. You will not smell nice because you won’t have many options for what to pack. I trekked in April and packed 2 trekking pants, 2 t-shirts, 2 long-sleeve shirts, 1 heavy sweater, waterproof pants and jacket for rain, a heavy winter coat, a baseball hat, a warm winter hat, hiking boots and comfy shoes to wear when not hiking, a sleeping bag a first aid kit including medications, the bare minimum of toiletries (toilet paper, soap, shampoo, feminine hygiene products) and a book to read. 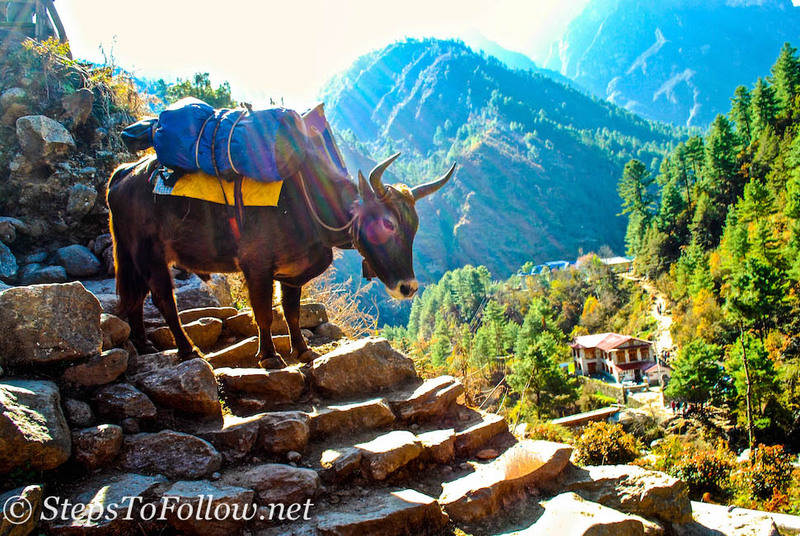 Follow your trekking operator’s guidelines as closely as possible. The most important thing is not to overpack. The small airplane to Lukla where the trip begins, cannot hold much weight and therefore weight restrictions apply. Trust me, you will be happier under packing than overpacking on this trip. Don’t worry about your clothes getting overused and smelly— this is inevitable! Just remember, everyone trekking on that mountain is smelly for the same reasons! There you have it! 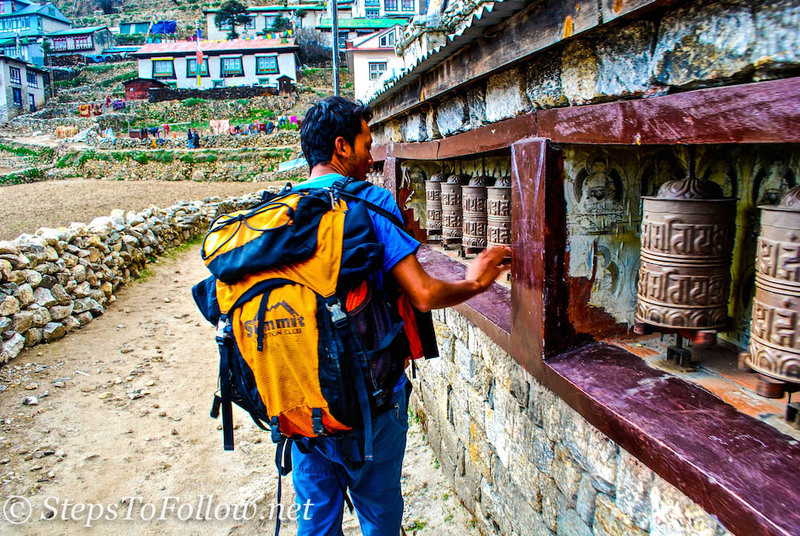 A small list of things to help you get started on planning your big adventure to Mount Everest! The best parts of this adventure are learning how much strength you really do have while climbing uncomfortably high, and submersing yourself in one of the most beautiful cultures. Your life will be forever changed when you arrive home. Written by Lexie from Steps To Follow. Lexie is an amateur photographer who has loved playing around with cameras and photography from a young age. Unsure of what to do with her life after graduating University and unwilling to grow up (yet), she decided to follow her dream of exploring the world. In her spare time she writes about her (mis)adventures on her blog which is dedicated to responsible, sustainable and ethical travel around the world, with high hopes to inspire others to respect the planet Earth while thoroughly exploring it’s vast beauty. You can follow Lexie at Steps to Follow & follow her on Twitter & Instagram.